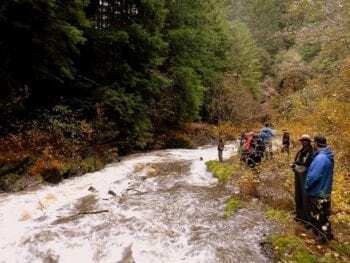 North Coast Archives | California Trout, Inc.
Pacific Coast Federation of Fishermen’s Associations considers Pikeminnow to be the most significant obstacle to salmon recovery in the Eel River. Reducing mature Pikeminnow population by 10-20% may decrease the salmonid kill rate by half. Yet in the 40 years since Pikeminnow entered the Eel River watershed, no one has found a reliable method to remove them. 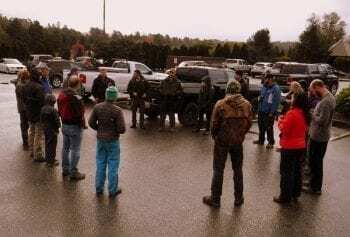 To address the Pikeminnow conundrum, CalTrout’s Eel River Forum held a day long seminar on Pikeminnow science March 27th at Fortuna’s River Lodge Conference Center. Nine Pikeminnow experts presented the information they know, and the studies they are developing to learn more, to a packed room of river biologists and restorationists over a 4 hour period. Pikeminnow are an invasive, predatory fish species in the Eel River, but Pikeminnow are native to other salmon bearing rivers of California such as the Sacramento and Russian Rivers. They are incredibly smart in the fish world. Several speakers at the forum report that they have tracked them sneaking out of deep pools where they are protected, to feed in the shallow areas only at night. They also appear to have the ability to learn to recognize fishing lures and to move away from them. Urban legend says that Pikeminnow came directly up the Potter Valley Project diversion from the Russian River into Lake Pillsbury, but that isn’t accurate. Dr. Brett Harvey of the U.S. Forest Service’s Redwood Sciences Laboratory said this line of Pikeminnow came from Clear Lake and that ten individual fish were likely brought into Lake Pillsbury by one angler. 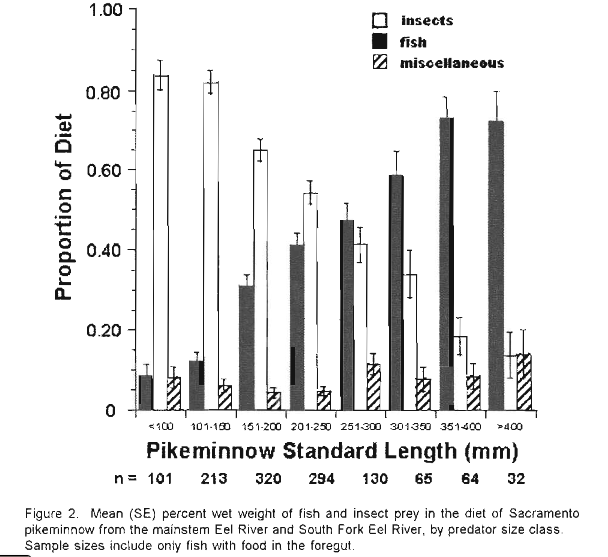 The graph above reflects the fact that Pikeminnow eat a wide variety of species and that their diet turns to a larger and larger percentage of fish as they increase in size. However, even as very tiny fish, they are a threat to salmonids both by predation and competition. Pikeminnow eat such a wide variety of food types that it is suspected that the smallest fish will prey upon the redds before they hatch. 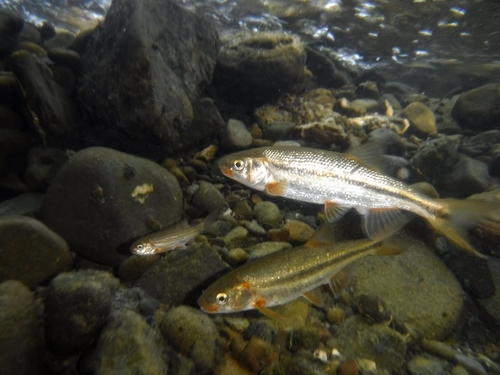 Furthermore, smaller Pikeminnow compete with juvenile salmonids for their food sources before they grow large enough to consume the salmonids directly. Studies show Pikeminnow’s advantage gains when the temperatures rise. Describing a study evaluating the impacts on competition, Dr. Harvey said, “At about 17 C the Pikeminnow are invisible to the Steelhead, …but when you jack up the temperature about 4 or 5 degrees C, then its a different game and the Pikeminnow are a direct competitor to the Steelhead. In fact, it was kind of an ‘adding insult to injury’ situation because the performance of the Pikeminnow in this setting was kind of like that goofy person who won’t receive social cues. …The Steelhead were busy trying to defend their territory as they do; trying to be rude to their neighbors as they always are, and the pikeminnow were [oblivious].” He went on to say that at that temperature adding a Pikeminnow had the same level of competition as adding more Steelhead. They were in direct competition for food. Another study reveals that in winter, it appears the Pikeminnow retreat from the headlands and return to them later in wetter years and ealier in drought years according to Philip Georgakakos a Dorctoral student from UC Berkeley. Georgakakos said he finds June is the month with the largest difference between wet and dry years in terms of the respite salmonids receive from Pikeminnow predation and competition in the headwaters of the South Fork at his study area in the Angelo Reserve west of Laytonville. Although there has been little progress in controlling Pikeminnow over the 40 years since their arrival, solutions are being pursued. In the majority of the watershed, Pat Higgins of the Eel River Recovery Project hypothesizes that River Otters are the primary predator keeping the Pikeminnow population from exploding and completely decimating the salmonids. And around Lake Pillsbury where the habitat allows Pikeminnow to thrive, the community holds an annual sport reward Pikeminnow Derby. In the derby, every entrant over 12 year of age, pays an entry fee to compete. That forms the prize pool which is parsed out to the anglers who return with the largest fish, the smallest fish and the most fish. According to Higgins, the last derby may have removed 600 pounds of Pikeminnow from Lake Pillsbury. The derby model is the preferred model in the Columbia River where the Bonneville Power Administration pays out nearly $4 million a year to reward anglers for removing Northern Pikeminnow. A few anglers in that area make their living on that opportunity according to the program’s director Steve Williams. The Northern Pikeminnow is native to the Columbia River, Williams pointed out, so there is no effort to eradicate the species in that watershed. 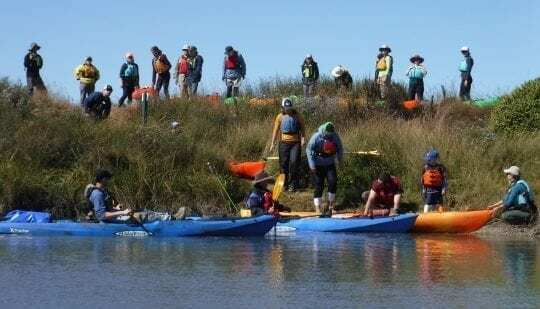 In the Eel River more solutions are being explored. Abel Brumo of Stillwater Sciences has been working alongside the Wiyot Tribe toward the Tribe’s goal of returning the river they historically named Wiyot to its former state of abundance–which is the meaning of the word Wiyot. Brumo and the Tribe will be working this summer to discern which Pikeminnow removal method is the most cost effective. Brumo says they will be evaluating boat based electrofishing, nighttime dives with nets, and baited fish traps. They will look at which method makes the most sense for both the money and the time it takes to remove the predatory fish. 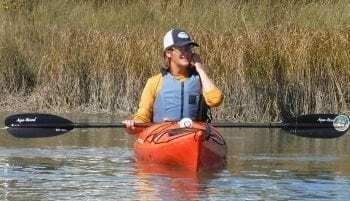 Meanwhile, Pat Higgins of the Eel River Recovery Project (ERRP) has hopes of cutting the number of female spawners in the upper South Fork of the Eel significantly enough to increase juvenile returns to the ocean significantly. ERRP has applied for a Scientific Collecting Permit from CDFW to gain permission to have trained fish science experts who can easily recognize fish species from a distance work in the deep pools of the South Fork of the Eel River in the refugia area between Rattlesnake summit downstream to French’s Camp. The proposal is for the volunteers to spear the Pikeminnow larger than 10 inches long in the pools. According to Dr. Harvey each female can produce 15,000 eggs in her lifetime. Therefore, Higgins hypothesized that because the females are the largest fish, killing them has a few benefits. Killing them will reduce current predation of the most mature salmonids, and it could reduce future Pikeminnow population by at least half. California Deparment of Fish and Wildlife has expressed a preference for electofishing for the Pikeminnow over spearfishing because if other species are present, they are not killed accidentally. However, Higgins says electrofishing is ineffective in these deep pools where these larger Pikeminnow are hiding during the day. CDFW has 12 weeks to review the application which was recently submitted. The most experimental proposal came from Dr. Buchheister of HSU’s Fisheries Biology Department who reported to the forum from Arcata by telephone. Buchheister explained the Trojan Y project which is used in fish farming. Buchheister is working on with his colleague Dr. Rafael Cuevas Uribe. The Trojan Y uses genetic modification, however no extraspecies genetic information is added, to cause almost all offspring to be YY male instead of XY male. In fish farming it is widely practiced, according to Dr. Uribe, to keep the farmed fish from expending energy on reproduction. In the case of Pikeminnow it is being considered because it will cause the population of the target species to crash because not enough females will be produced. To date, there has only been one trial for species control on invasive Brown Trout in Idaho. Uribe said that depending on the number of YY males stocked into the watershed, the Pikeminnow might be expected to go extinct within 10 to 20 years after the YY males were introduced. 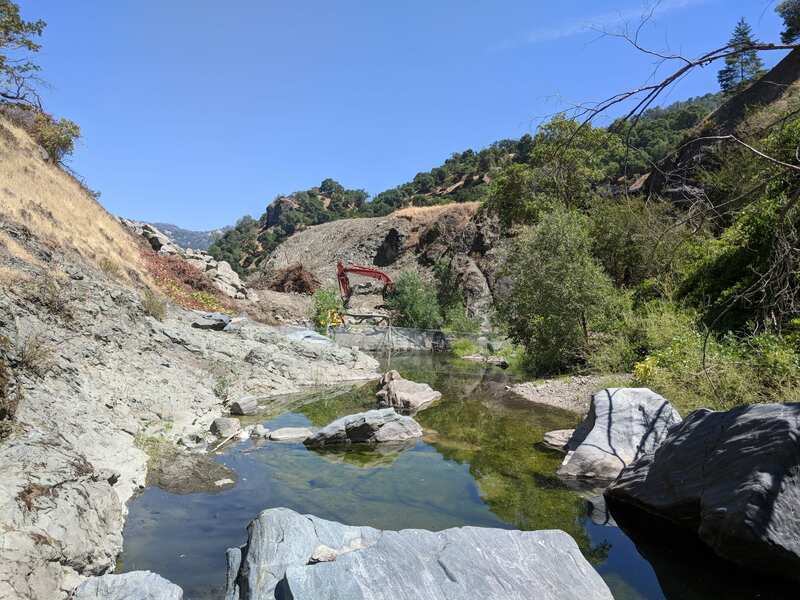 Located on the Eel River and diverting water to the Russian River, The Potter Valley Project (PVP) licensing proceeding took another interesting twist last week. 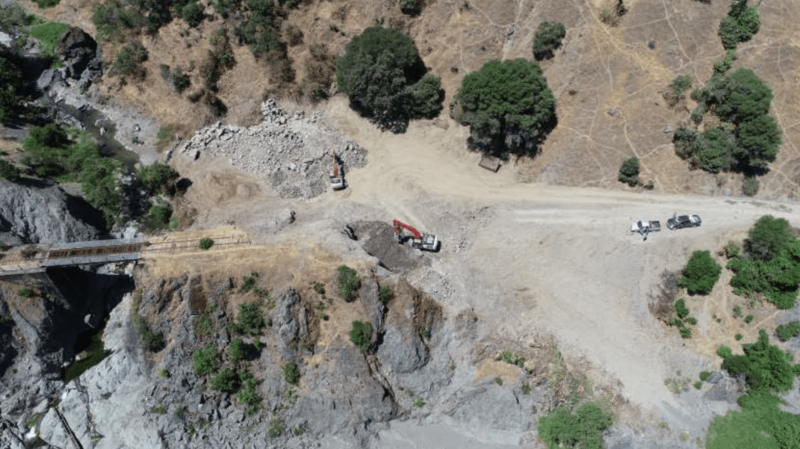 After PG&E announced that it was stepping away from the auction process to transfer the Federal Energy’s Regulatory Commission (FERC) license for the Potter Valley Project, it was assumed that FERC would initiate the Orphan Proceeding in an effort to find the next license owner for PVP. However, with FERC’s announcement of their Notice of Solicitation last Friday, CalTrout found that the next steps will be a little more complicated. Last week, FERC announced that potential applicants have 120 days to file their both their Notice of Intent to obtain the license for Potter Valley Project and their Pre-Applicant Document. This will be a heavy lift for any applicant, but one that CalTrout is committed to pursuing. 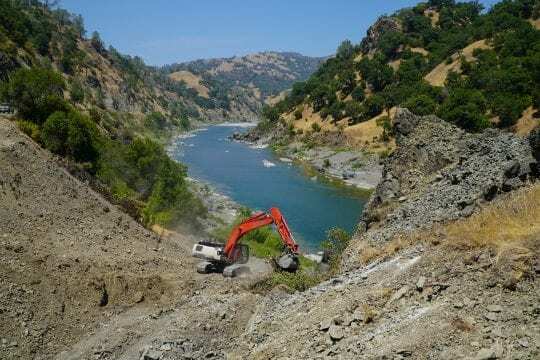 CalTrout’s commitment remains the same: advocating and pursuing a solution that opens up habitat above Scott Dam and working with partners to find a two-basin solution that ensures summer water in the Russian River. Towards this goal, CalTrout has been working on multiple fronts. We’re advocating for settlement talks with all participants of the ad-hoc committee set up by US Congressman Huffman, actively pursuing a two-basin design solution for the potential removal of Scott Dam, and undertaking critical studies on fish passage and dam decommissioning. CalTrout will spend the next few months working with partners to help build the right team to steer the project towards a two-basin solution. This recent opinion editorial by Knight and TU’s California Director Brian Johnson lays out its implications of the PVP relicensing process for the once-abundant runs of salmon and steelhead in the Eel River. 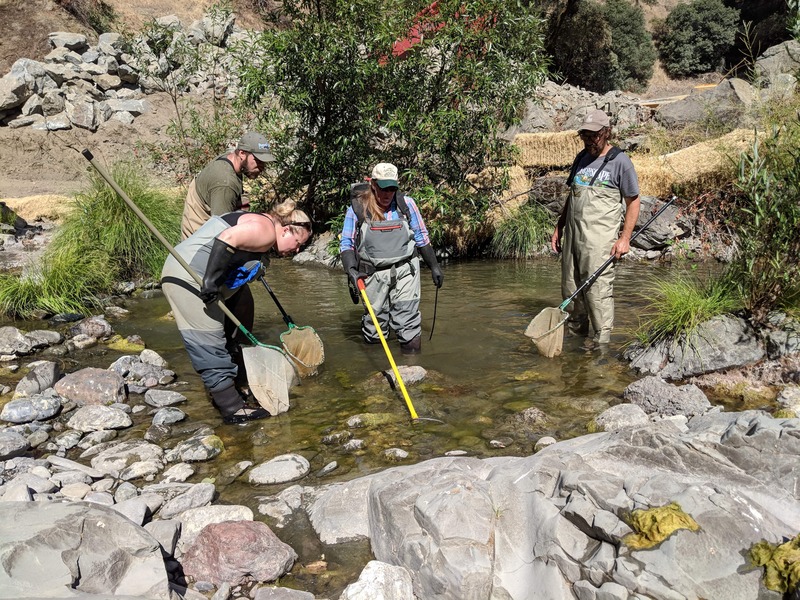 You can help CalTrout reconnect habitat for fish in this process by making a donation to our Reconnect Habitat campaign. 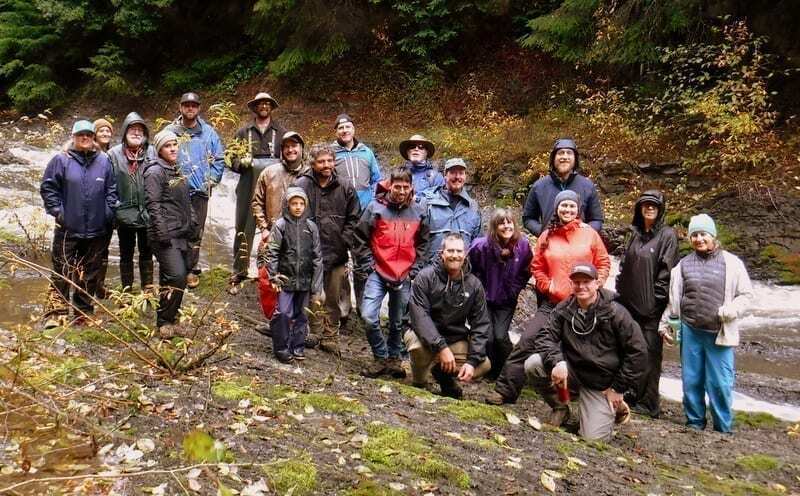 The winter rains did not scare away the 25 participants who came to the Pop Up Salmon Spawning viewting tour on the Eel River on Saturday December 1st. The event was hosted by California Trout hosted and led by Eric Stockwell of Loleta Eric’s Guide Service. Today’s tour was pretty awesome. We had an all-star lineup of speakers and guests at the Riverlodge from 9AM to about 1030. Big thanks to CDFW wardens Matt Wells and Eric Agoitia who gave us an overview of the challenges they face in the field. Matt’s description of the Eel River fisheries being a uniquely tough situation really hit it on the head – in a catch and release fishery with big game fish there is a temptation that’s automatically created. 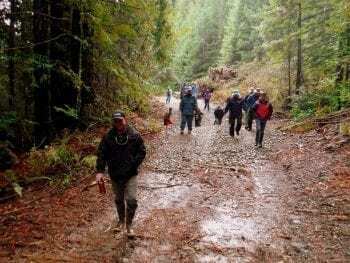 Another strong point that warden Wells made was that even though Eel salmon and steelhead are listed as either threatened or endangered, any consideration of disallowing fishing will bring with it the risk that we as a community and a culture lose even more connection to the river, the wildlife and the habitat. As a guide, I totally agree with that assessment, and trying to bridge the gaps between the citizenry and the landscape is very high on my list of aspirations. Our next presenter was Matt Goldsworthy of NOAA Fisheries who gave us an overview and history of gravel mining and river form and how they relate to the salmon runs. Matt made great points about the progress that has been made in terms of gravel skimming versus trenching, and I was super excited to hear him speak of a plan to put some structures in the lower river in an attempt to improve holding water for adult salmonids as well as overall habitat improvement. I was also very pleased that Margaret Tauzer – also of NOAA Fisheries – joined our tour group for the day and added to a rich exchange of learning and ideas. Our final presenter was Dennis Halligan of Stillwater Sciences. For over 20 years Dennis has tracked the lower Eel and other north coast streams for habitat, holding water, juvenile rearing, pool depth, ratios of holes to runs and riffles…etc., and his illustrations were spot-on regarding the current limitations on the lower Eel and Van Duzen regarding the needs of the salmon runs. A very valuable advisory from Dennis was that it’s apparent from his work that nature holds most of the cards regarding flows and how things stack up for fish in the late summer and into the fall when low flows can have significant negative impacts on adult fish. That said, I think that we had consensus regarding the need for big structures in the gravel desert that is the lower Eel. Last mention here regarding our special guests: Scott Downie, a retired CDFG manager who really made an impact in our area (and continues to!) added to the discussion and is a wealth of information about work in the not so distant past that appears to be very relevant right now. It’s always a pleasure to spend time with Scott, and all of our presenters were fully engaged with the tour participants today – couldn’t have gone better! Once we were done with the purely educational part of the day (and a crazy thunderstorm that had us dodging for shelter under the eaves of the Riverlodge) we headed out highway 36 to Yager Creek where we’d hope to see some spawning salmon. Big thanks are due for Keith Lackey, Humboldt Redwood Company fisheries biologist, who joined us for the day, took us up onto HRC lands, and gave us information on our stops along Lawrence Creek. We started off by going right to a prolific spawning riffle where we were able to see a half dozen or so adult Chinook even though the water was relatively turbid from the recent rain. 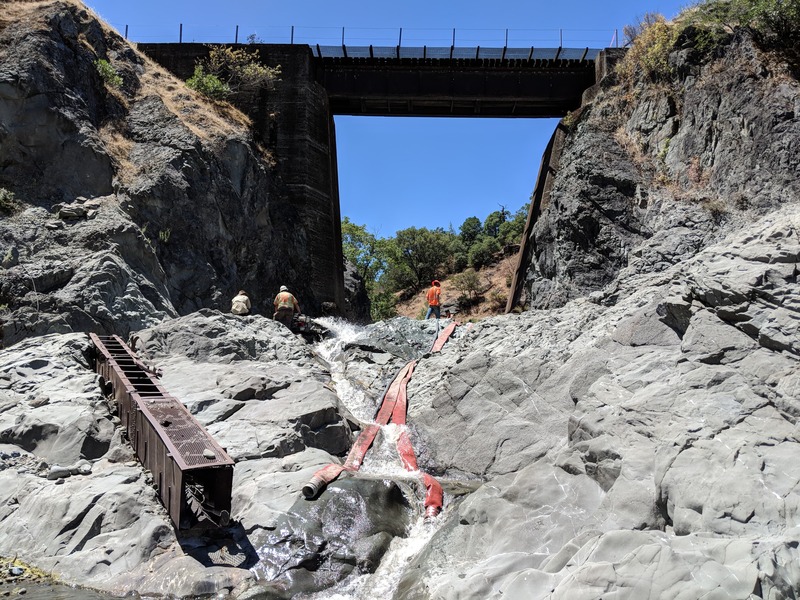 Next we toured a new off-channel habitat project that was just completed in October of this year, and we finished up down at the cascade at the mouth of Lawrence where we had a chance to see fish entering the stream. Just as 20 of us lined up for a group photo, Keith spotted a bald eagle above us, and the day was complete. The bottom line for this tour was the idea that our culture needs stronger ties to the natural resources that can provide for a rich future here. The participants and presenters and the guides all share a passion for and concern about the fish and their habitat, and that energy is what must spark the fire that leads to change here. We can improve habitat and take measures to help fish all we want, but if we don’t find a way to wake the entire culture to the potentials of healthy streams and strong fisheries then we may only be spectators in the decline of what I see as our true heritage here on the Eel in the Salmon. Big thanks to Darren Mierau, Mary Burke, and Megan Nguyen of CalTrout for the collaboration that made this tour possible. Expect more opportunities like this in the future. 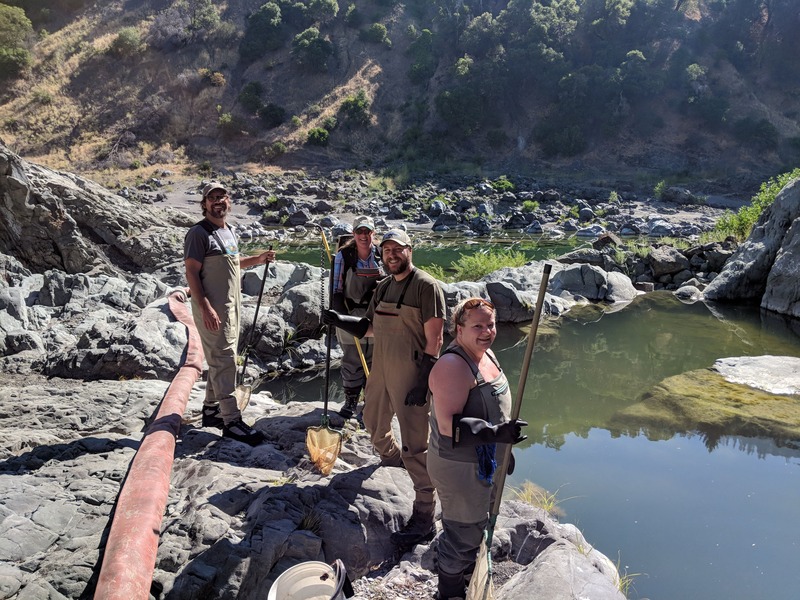 In early July of this year, California Trout began work on a major project to restore fish passage to Woodman Creek, a major tributary of the Eel River, one of California’s most significant salmon and steelhead strongholds. Blocked by over a mile of rusted steel rail, salmon have not found their way into this watershed for over a century. 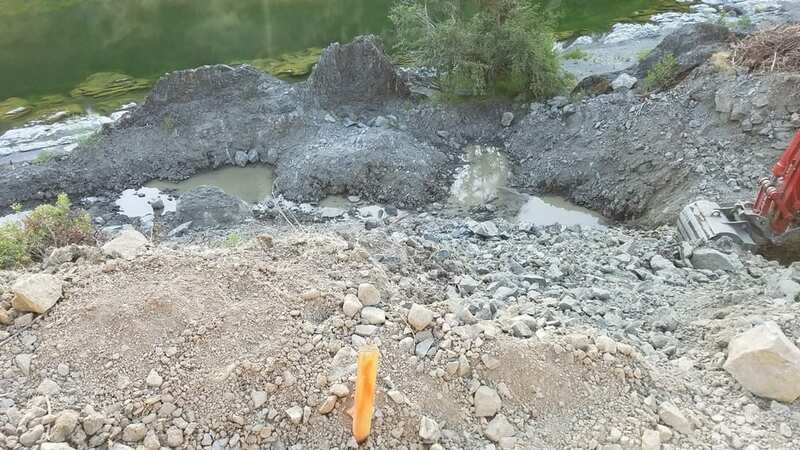 We are proud to announce that the project has been completed with 14 miles of prime spawning and rearing habitat reconnected. Woodman Creek flows once again. Adult salmon and steelhead should have no trouble swimming up this channel and high into the Woodman Creek watershed. 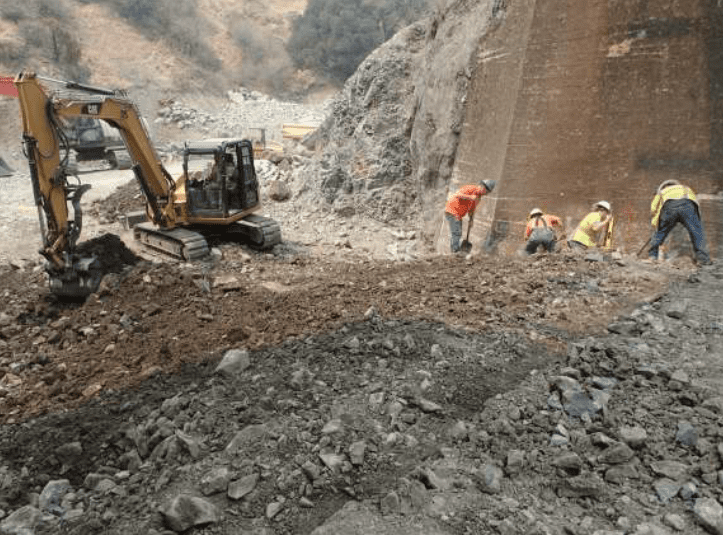 Over the course of 20 weeks, our contractors and field crews have worked tirelessly, excavating the old railroad embankment to create a new channel pathway of over 200 ft. The channel below the railroad bridge is now plugged. This will prevent the stream from flowing under the railroad, instead being routed down the restored (historic) Woodman Creek channel. This winter, flows will connect salmon and steelhead to 14 miles of spawning and rearing habitat. 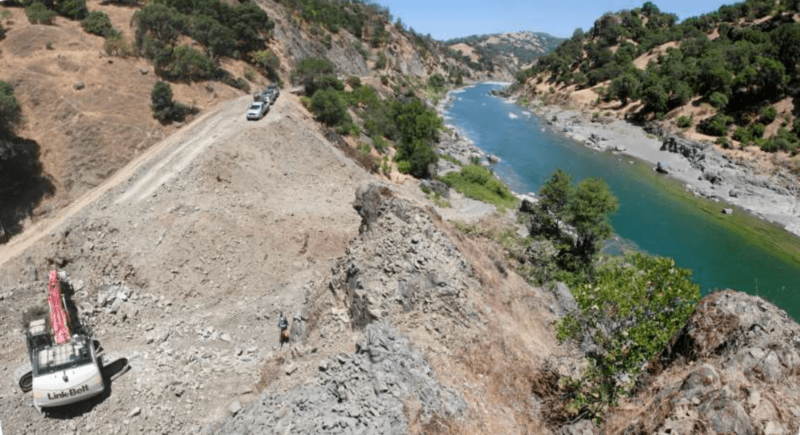 A portion of the railroad grade will be left to prepare for a future “Great Redwood Trail” along the mainstem Eel River. While flows are currently at a minimal trickle as seen in the video, this fall and winter will be a time to sit back and wait for the fish to rediscover Woodman Creek. 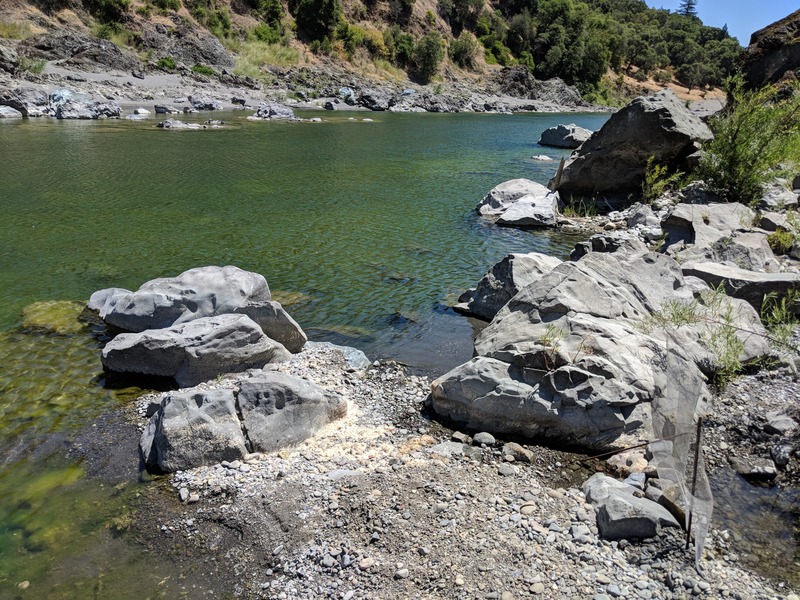 With many miles of healthy and abundant habitat in the Eel River and Woodman Creek, it’s only a matter of time before adult runs are re-established in Woodman. Stay tuned for updates as we continue to monitor this restored fish habitat! Woodman Creek construction. Photo by Pacific Watershed Associates. Thank you to our wonderful CalTrout members, staff, and directors for your continued support of the work we do. Special thanks to our project partners: Mike Love and Associates, Pacific Watershed Associates, Pacific Earthscape, North Coast Rail Authority, Coastal Conservancy, California Department of Fish and Wildlife – Fisheries Restoration Grant Program, Ross Taylor and Associates, David Anderson, Ron Christensen, Mickey Bailey. Restoring Woodman Creek was made possible by you! Thank you! Photo by Pacific Watershed Associates. 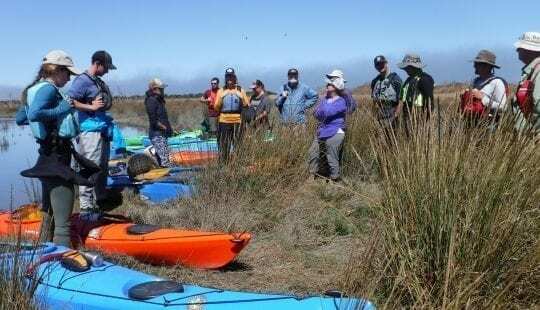 The tour showcased two major estuary restoration sites and described the full scope of restoration plans in the Eel River. Participants learned about The Wildlands Conservancy (TWC) plans for implementation of a 150-acre restoration project that will restore tidal wetland, creating fish passage into the newly restored ecosystem, and reestablishing a historic slough and freshwater creek network to reconnect the vital freshwater-saltwater ecosystem. 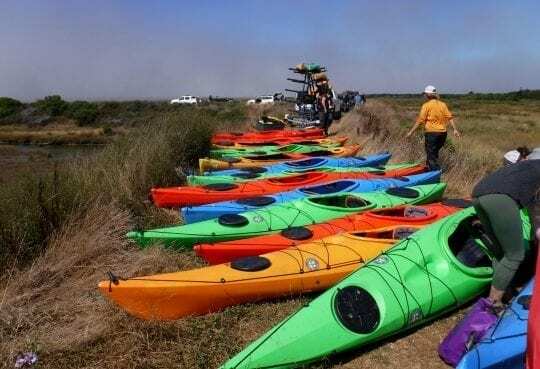 In addition to habitat restoration, the project will enhance coastal public access – visitors will be able to hike, bike, ride horses and kayak across the Eel River Estuary Preserve to experience nature and conservation first-hand, free of charge. The Wiyot tribe also described their work studying lamprey as well as sturgeon and their tribal perspective on the Eel River, past, present, and future. 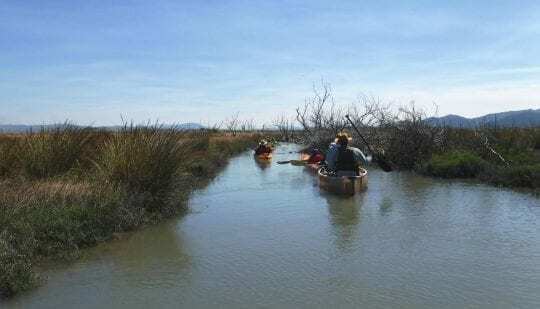 Local engineering firm, GHD, which has been involved with CalTrout and TWC in their project as well as the Salt River Restoration project, interpreted the landscape as they paddle up the Salt River and viewed the newly restored Riverside Ranch and Salt River channel. Afterwards, the participants contributed to invasive species management by removing European beach grass using gear provided by The Wildlands Conservancy. Doing so engaged the paddlers in stewardship of natural resources while assisting in preparation for future habitat restoration. Thank you to Pacific Outfitters for providing gear for the trip. And special thanks to Eric Stockwell with Loleta Eric’s Guide Service for leading us down the river. 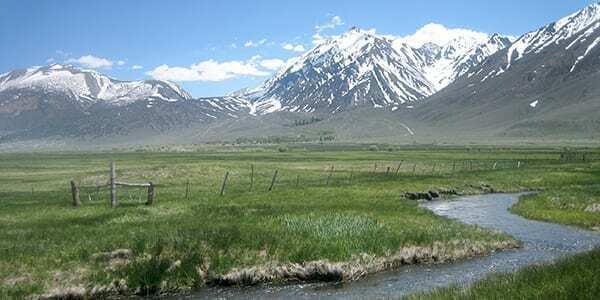 Click here to find more information about CalTrout’s recovery efforts on the Eel River. Excavating the south side of the channel near the railroad bridge. 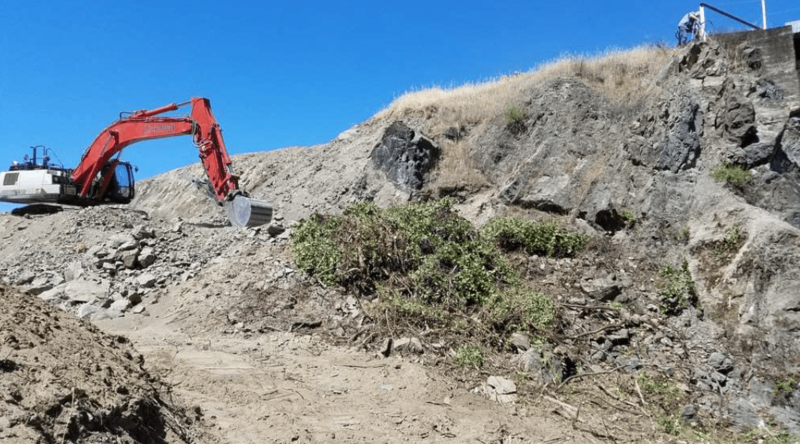 Work was focused on stockpiling rock for the channel plug and excavating railroad embankment material. As of June 26, 2018, it was estimated that 25% to 30% of the material had been removed from the barrier. View of excavated channel path and project site looking north. Tailgate meeting with the work crew from Pacific Earthscape. Excavating the new channel pathway downstream of the railroad alignment. 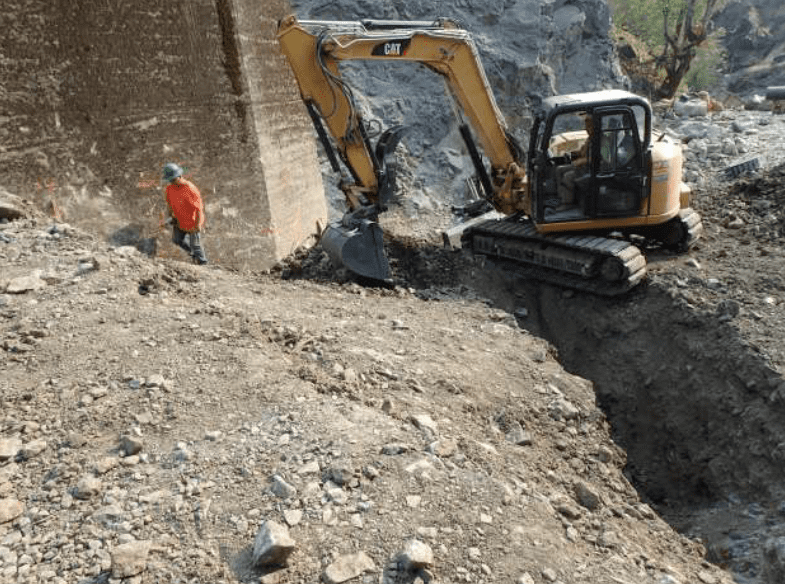 Excavators were busy stockpiling rock for the channel plug and excavating railroad embankment material. 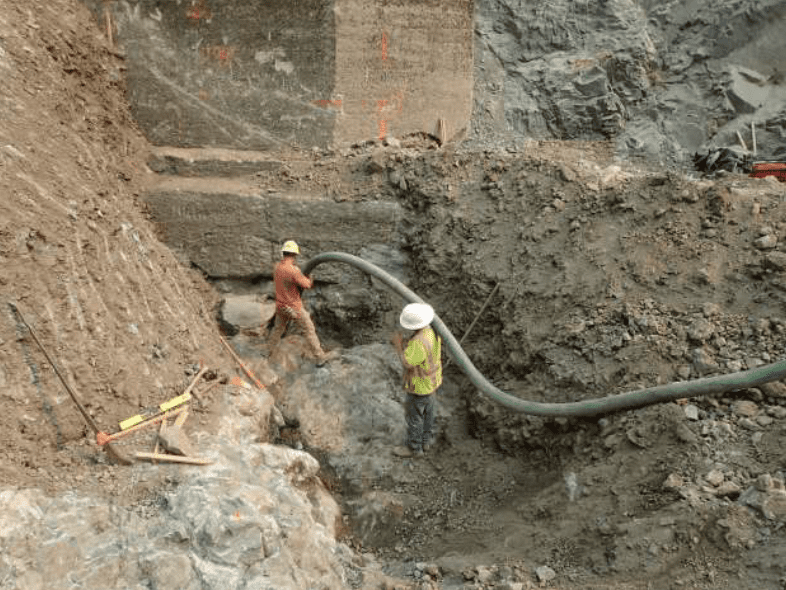 Mike Love & Associates surveyed the excavated surface to provide a volume of excavated and removed material and stockpiled riprap. The design team and heavy equipment subcontractor painted-up and marked-out the designed channel plug. The non-functional fish ladder rebar was cut off the bedrock at the fish barrier. Heath Ford, owner of Pacific Earthscapes, constructed an onsite straw bale field-office. 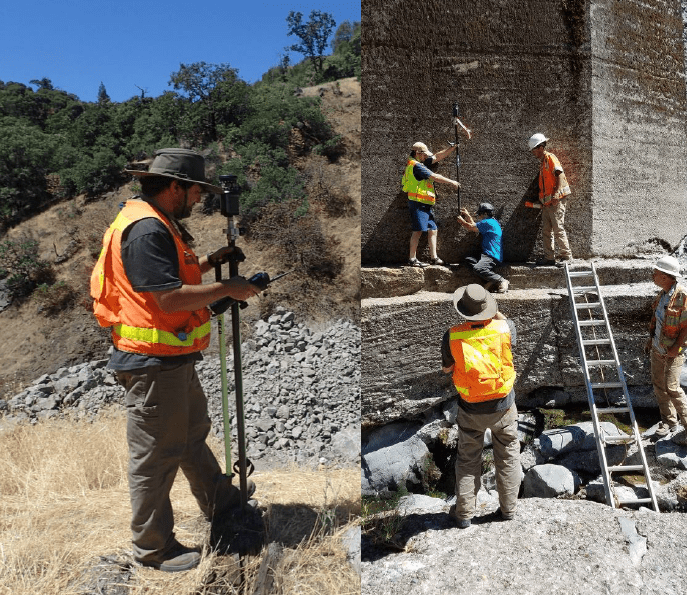 The fish barrier has been lowered another 10 ft near the top of the excavation exposing large bedrock boulders and bedrock outcrops within the historic channel alignment. A temporary straw bale fence has been installed by laborers to prevent fill from entering Woodman Creek during construction of the channel. The historic mouth of Woodman Creek uncovered for the first time in a century! The crew must relocate species in the area using electrofishing. This method temporarily immobilizes them allowing the crew to safely move species without harming them. they’ve relocated 3 juvenile steelhead, hundreds of Foothill Yellow Legged Frogs (now a candidate species for state listing). they also found 2 Western Pond Turtles! Thank you to our e-fishing crew for doing an awesome job! With species relocated, we can now dewater and begin construction. 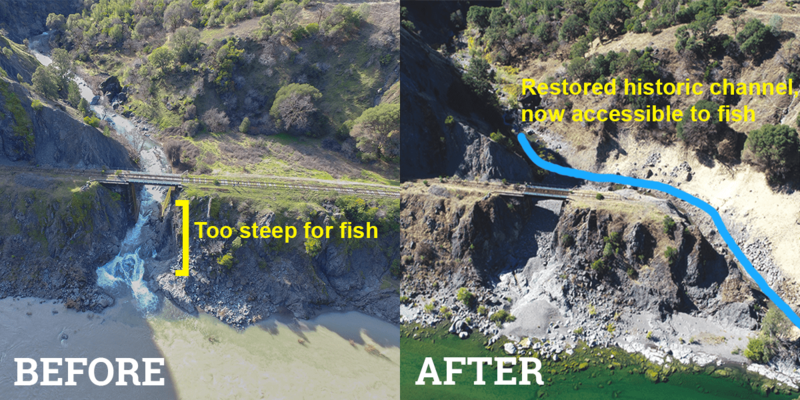 One step closer to restoring fish passage to Woodman Creek! Tune in next time for more updates. 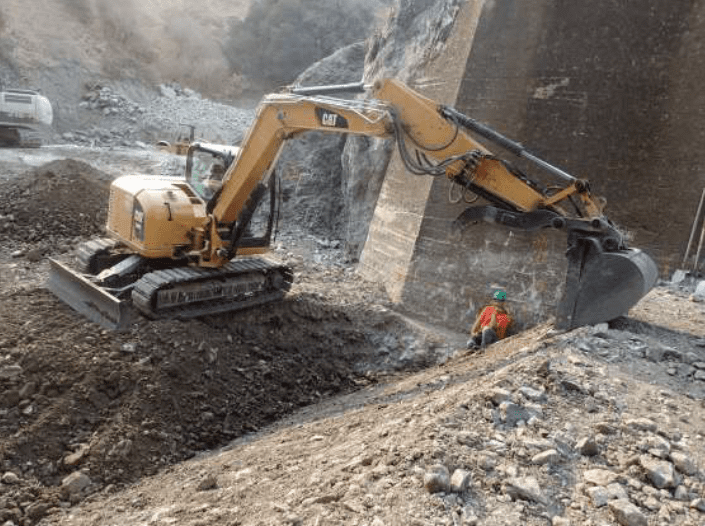 The heavy equipment placed the riprap for the channel plug on the Eel River side of the channel plug. The heavy equipment team excavated the compacted material for construction of the concrete footing and installation of the liner. The heavy equipment team vacuumed and cleaned the excavated trench for the concrete footing. Laborers constructed the back of the form for the concrete footing. View Project Updates in Pictures! Woodman Creek, located five miles north of Dos Rios, is a tributary of the Eel River which is one of California’s most significant salmon and steelhead strongholds. 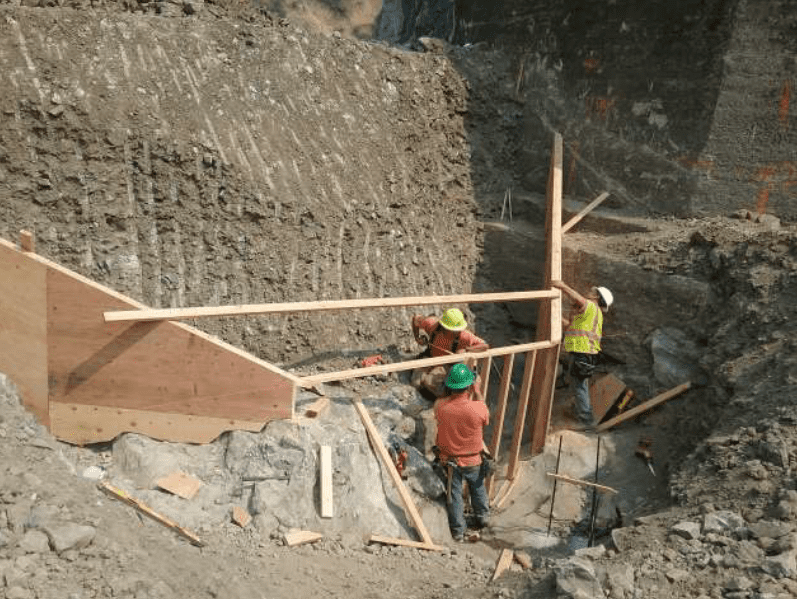 CalTrout is overseeing a major project to restore fish passage to Woodman Creek where salmon have not found their way into its watershed for over a century. 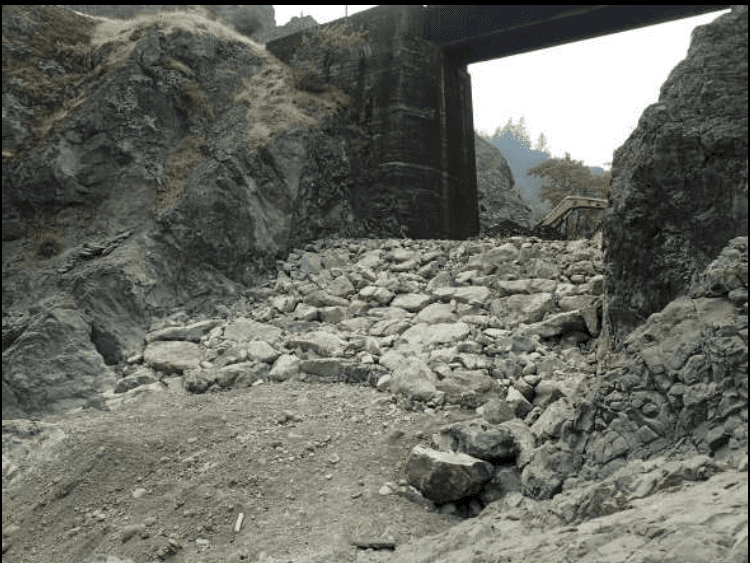 The Northwestern Pacific Railroad was constructed in 1914 through the Eel River Canyon which permanently blocked the migration pathway for salmon and steelhead into Woodman Creek. Now, a century after it was built, this story takes a turn in favor of fish restoration. The Woodman Creek Fish Passage Project will remove over a mile of rusted steel rail which will open access to high-quality steelhead and salmon habitat. 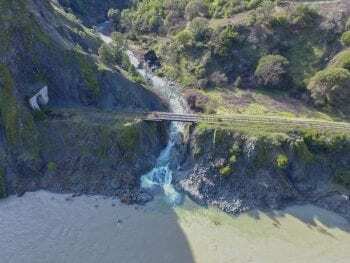 The historic railroad line was built through an area known to have high geological and tectonic activity including gigantic ‘deep-seated landslides’ slumping into the Eel River, catastrophic earthquakes, and powerful floods which often ravaged through the canyon. The 1997 flood caused a bedrock cliff to shear off next to Woodman, where a portion of the tunnel collapsed into the river thus ending any prospect of railroad service ever returning to this line. 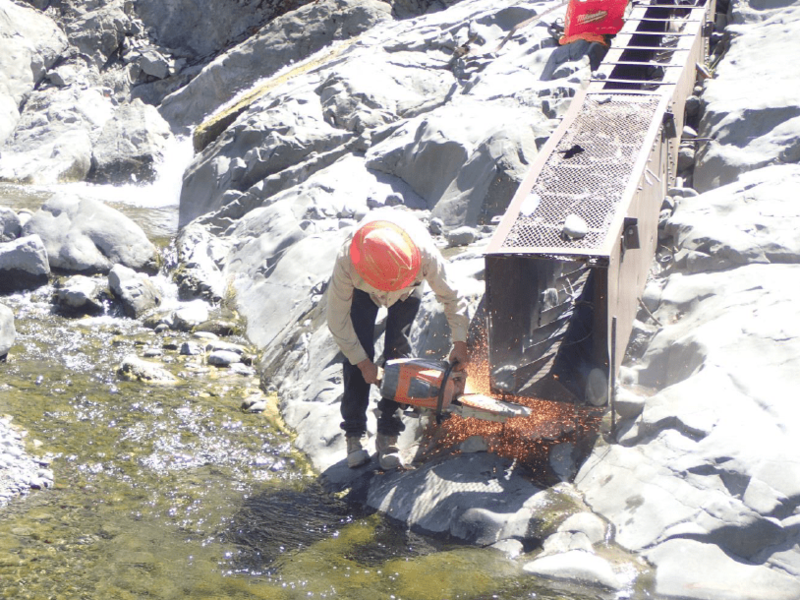 The Woodman Creek Fish Passage Project has taken the better part of seven years for CalTrout and numerous partners to plan and prepare for. 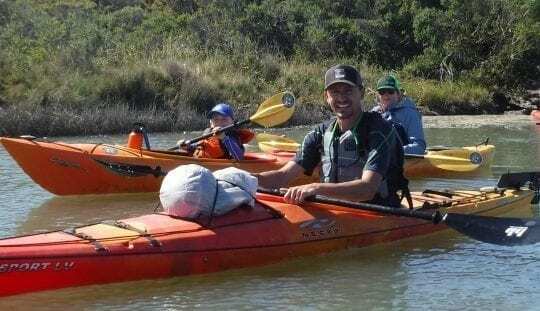 This project, which is led by our North Coast Regional Director Darren Mierau, will support quality local jobs while providing significant ecological benefits to the region. 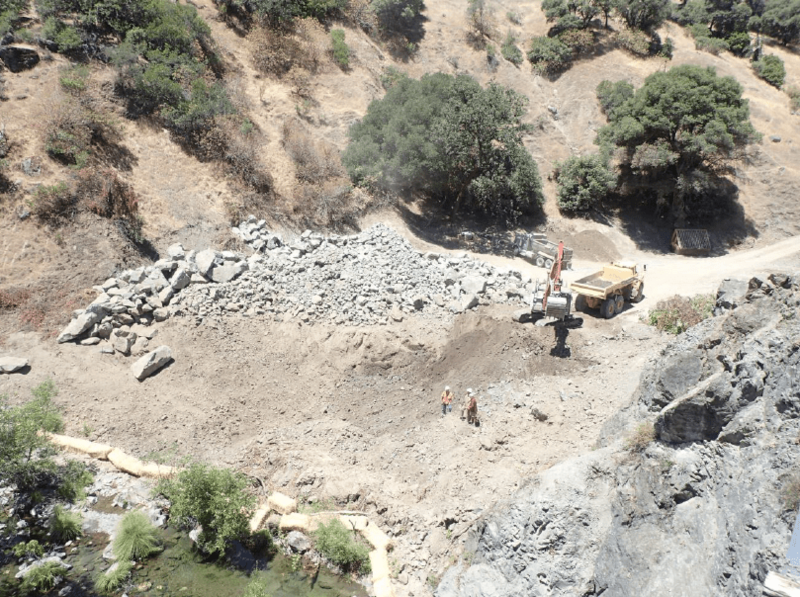 This $2+ million project is funded by the California Department of Fish and Wildlife Fisheries Restoration Grant Program due to the significant benefit it will provide to imperiled species. 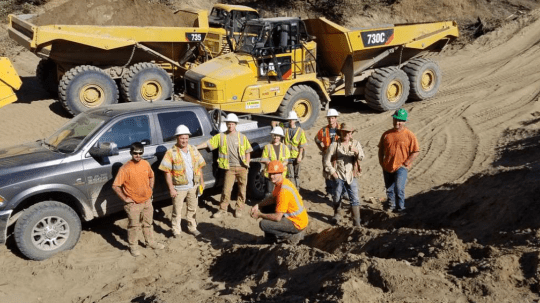 CalTrout has focused contractor hiring on Humboldt County businesses for this project, including Pacific Earthscapes, Pacific Watershed Associates and Mike Love & Associates to plan and complete the required work. Twelve full-time, prevailing wage local jobs will be created in the process. 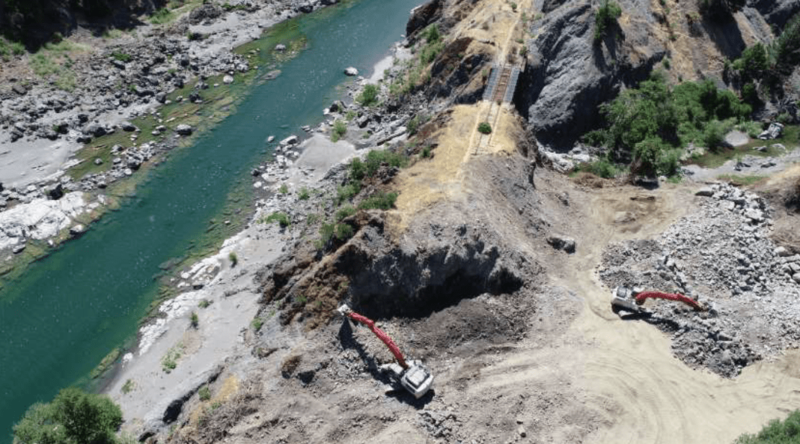 After years of advocacy and negotiation, the bridge removal received the full support of the railroad authority, which acknowledged that restoring service through this canyon was untenable. The project is on track to be completed by early September this year. Check back later to hear more updates on the fish passage restoration and habitat creation at Woodman Creek. 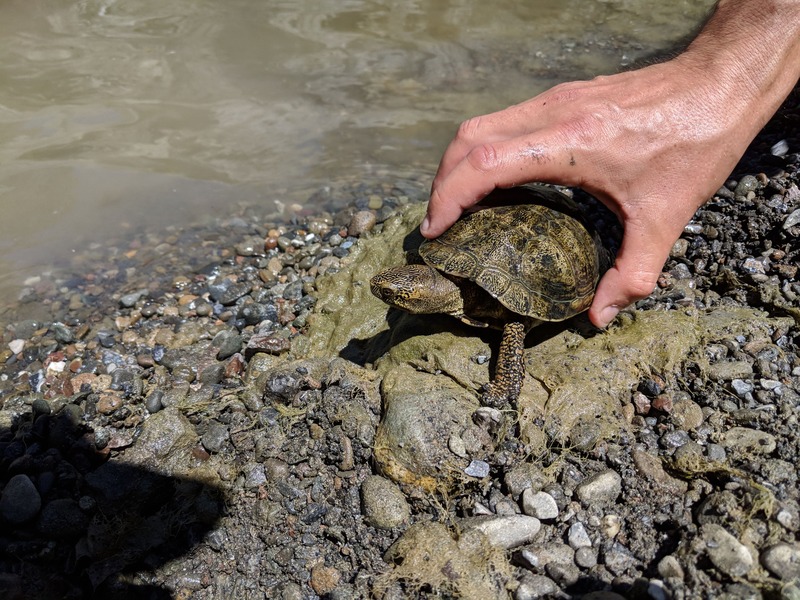 Project update 7/26/18: they’ve completed the excavation and reconstruction of 200 ft of the mouth of Woodman Creek, and on Tuesday we removed fish (only three juvenile steelhead), hundreds of Foothill Yellow Legged Frogs (now a candidate species for state listing), and two Western Pond Turtles, so the Woodman Creek channel can be dewatered for construction. Earlier this month PG&E announced they are putting their Potter Valley Project out to open bid this fall. 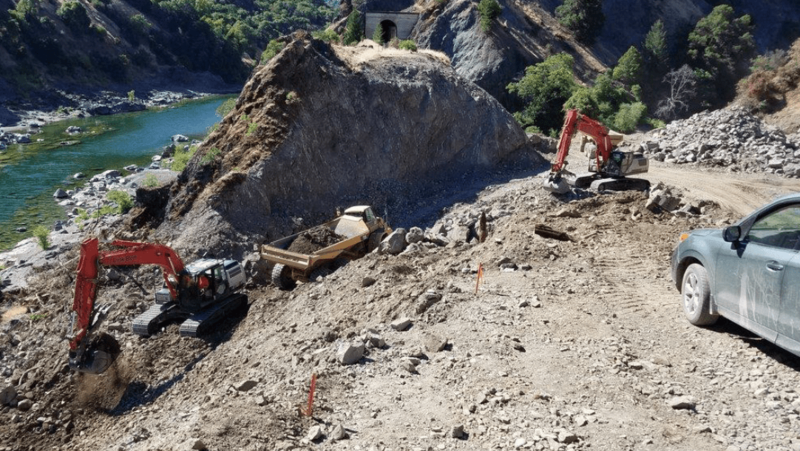 This project consists of two dams– Van Arsdale Dam that diverts water to the Russian River for hydropower and other uses, and Scott Dam, the only fish passage barrier on the mainstem Eel blocking over 150 miles of salmon and steelhead spawning and rearing habitat. 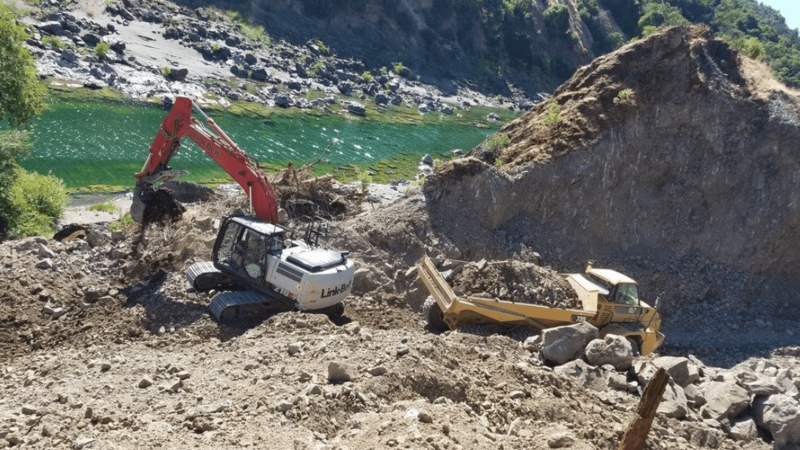 CalTrout, Friends of the Eel River, Trout Unlimited, and other conservation and commercial fishery interests have a goal to remove Scott Dam and return fish to the upper Eel watershed. 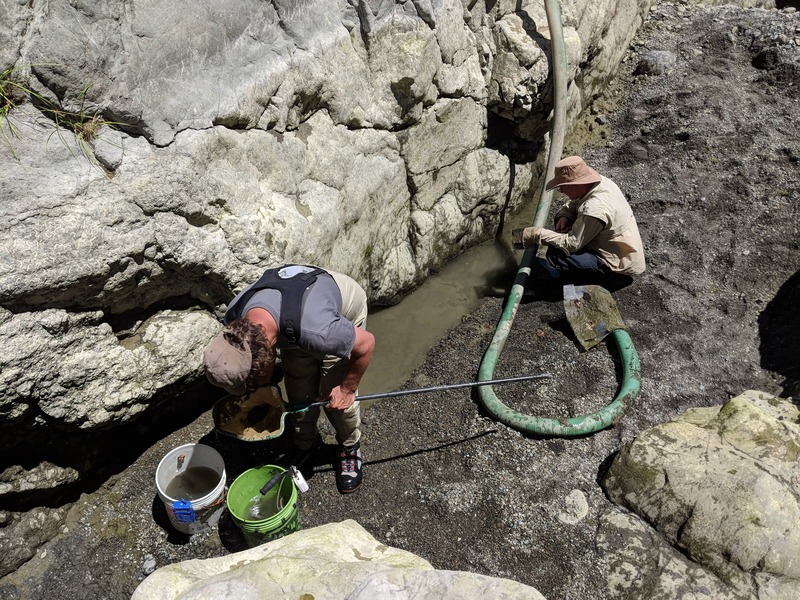 Returning salmon and steelhead to their historic home in the headwaters of the Eel is a critical part of our efforts to restore fish abundance back to the Eel River. What does PG&E’s decision to put the Potter Valley Project up to bid mean? 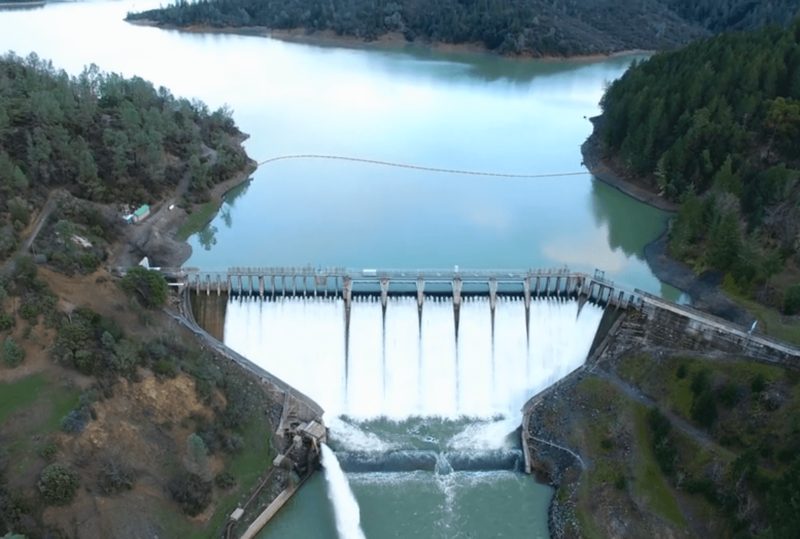 It means that any entity could bid to buy the project and operate the facility for hydropower or just for the benefits of diverting water to the Russian River, or both as is currently the case. This is not our preferred alternative. 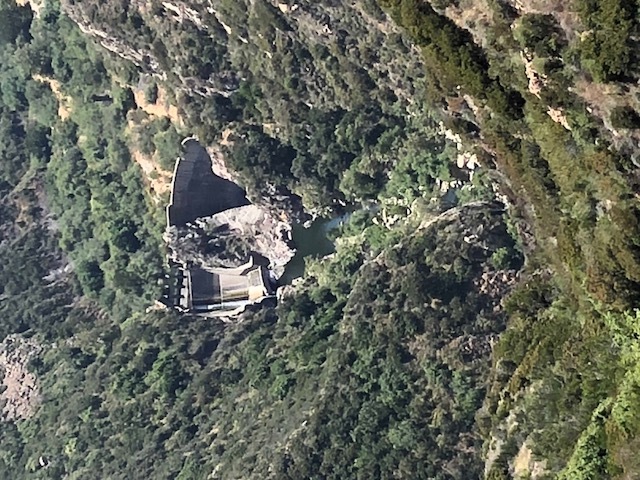 In an effort to push stakeholders towards dam removal, CalTrout has helped facilitate a series of ad hoc meetings convened by Congressman Jared Huffman (D-CA), which includes our conservation partners, PG&E, and Sonoma County Water Agency. Our hope is that through these conversations, the group of diverse interests can come to an agreement that includes the removal of Scott Dam. Currently, CalTrout and partners are working to build the record of information to make the case for dam removal. To date we have established that there is at least 150 miles of spawning habitat above Scott Dam, we are working with a consultant to assess the feasibility and cost of removing Scott Dam, and we are in the process of assessing water rights. 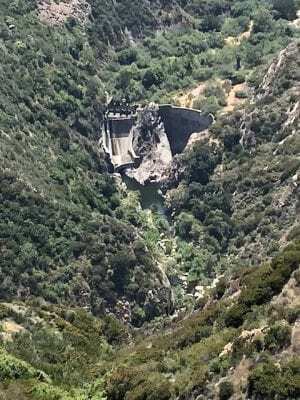 Opportunities to remove big dams in California are few. 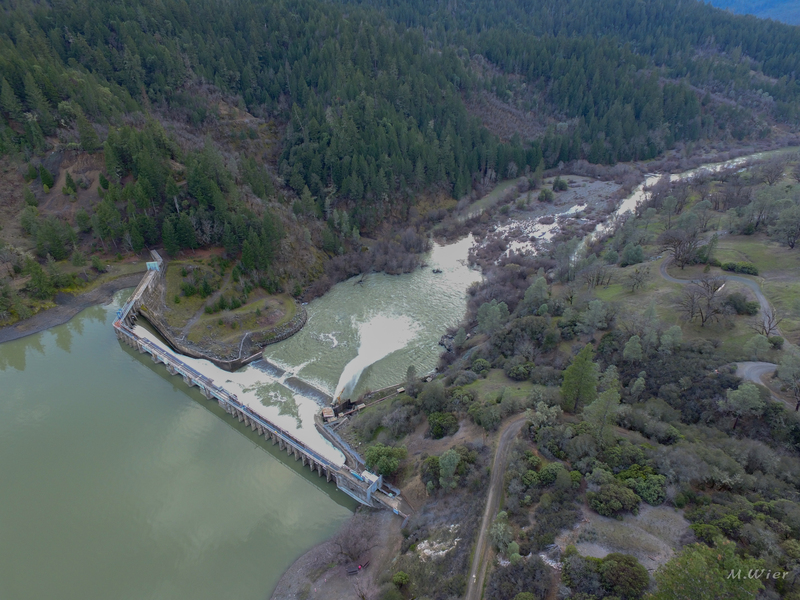 Scott Dam on the Eel River represents one of the best opportunities in the state and PG&E’s announcement has helped move things along, hopefully in a positive direction for California’s salmon and steelhead. To learn more about the Eel River and the opportunity for salmon and steelhead abundance once again, watch this film.